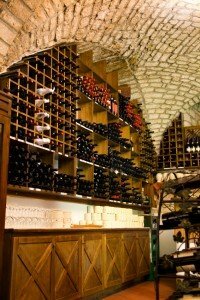 How Much Does Wine Storage Cost? What Will it Add to My Cost Per Bottle of Wine? 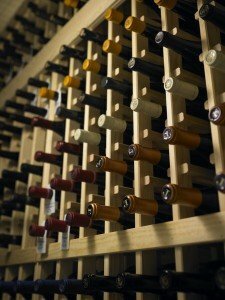 What does wine storage cost? In addition to keeping your wines in a safe place, preferably dark, at a constant temperature (around 55 degrees), at approximately 65% relative humidity, it’s important to evaluate how much different storage options will cost. 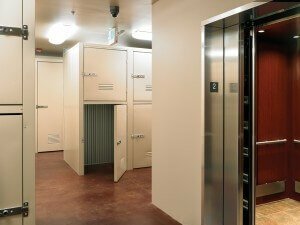 Individual, steel lockers (like those at Wine Storage Bellevue pictured above) are a secure alternative to an in-home wine fridge. Wine storage options range from small to large, both in cost and physical footprint. Wine refrigerators are an economical option that can fit in your house or your garage. It is a one-time cost that will typically run you between $300 and $3,500, and can store 10 to 250 bottles. A wine cave or home cellar are larger storage options, and range from $4,000 to $50,000 in one-time cost, though the compressors and/or humidifiers that control the environmental conditions can wear out and their replacement can add significantly to the cost of ownership. Ongoing expenses to run any of these devices include the cost of electricity and the occasional service call. The cost of electricity will likely be a nominal addition to your utility bill in the short term, but it can add up to a significant investment over time. 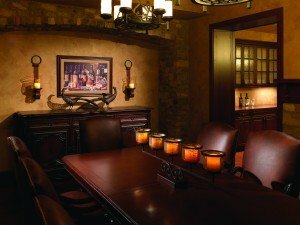 Investing in off-site wine storage, above all of these options, will increase the likelihood that your bottles will remain unopened and aging happily toward their intended maturity. To help you decide if this is the right option for you, consider the cost of renting a locker at Wine Storage Bellevue: a 6-case wine locker filled with 72 bottles for a year would add about $3.00 to the cost of each bottle. The more you store, the cheaper it is per bottle. A 98-case locker adds only $2.25 per bottle per year to the cost of the wine. If a $50 bottle of wine increases in value more than 4% per annum, then the cost of storage has just about paid for itself; not to mention proper storage conditions can add value by establishing provenance to the wine. This can add considerable value when establishing a wine’s worth at 10 years of age, 20 years of age, and beyond. Lastly, as your collection increases in value, you may want to consider purchasing additional insurance for your wine to protect its value. With these tips you will continue to enjoy your vintages at their anticipated maturity dates for many years to come!